Here in Newcastle we have a Christmas tradition that sees us pressing our noses up against the windows of Fenwicks. We're not all being a bit weird, I promise. 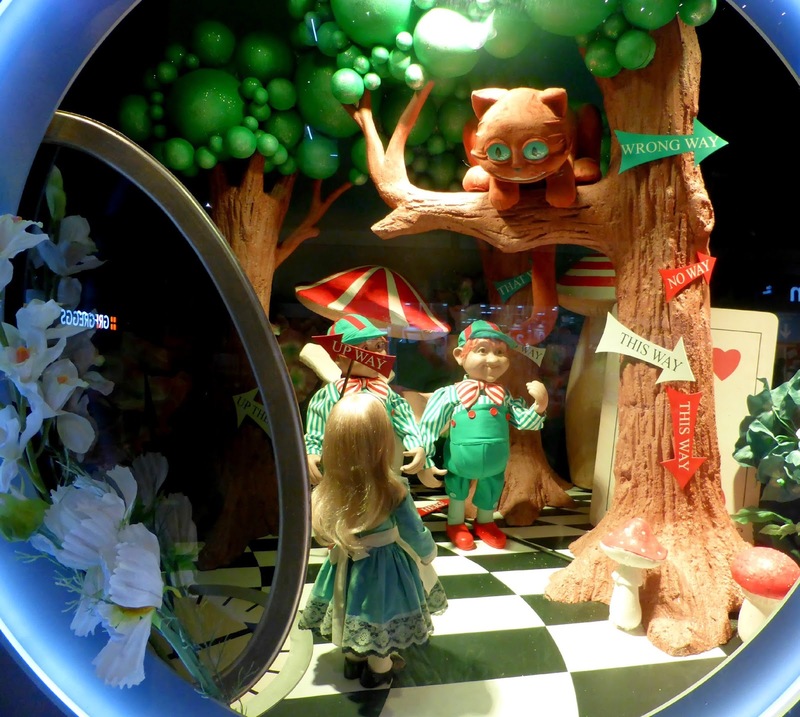 Every year we flock to the windows of Fenwicks to see the unveiling of the new Christmas window. Each Christmas the windows have a different theme and you always know the festive season has officially started when the new display is finally revealed. This is the third year I've got to enjoy the Christmas window and as an honorary Geordie it's become a big part of my Christmas preparation. This years display is Alice in Wonderland and whilst I've heard some grumble that it's not Christmassy enough I love it. 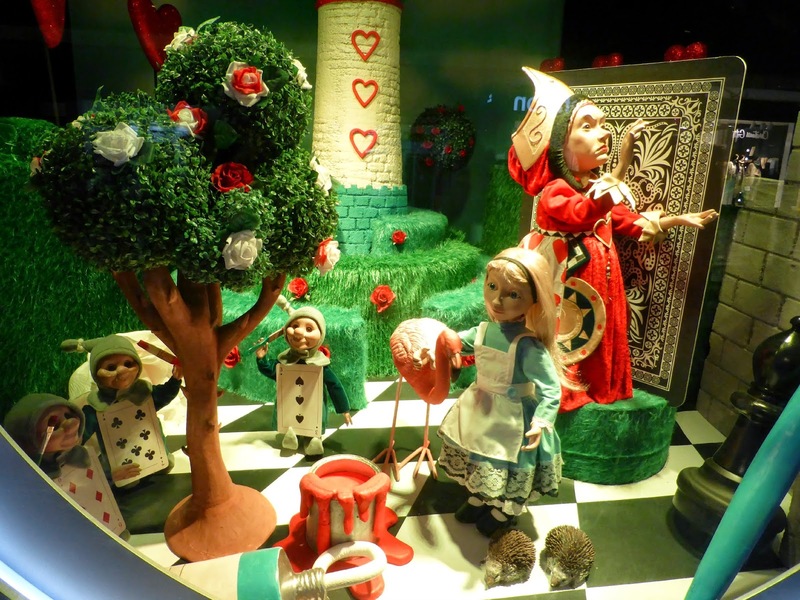 Fairytales are magical and Christmas is all about magic so the window is a great addition to Fenwicks' window displays. 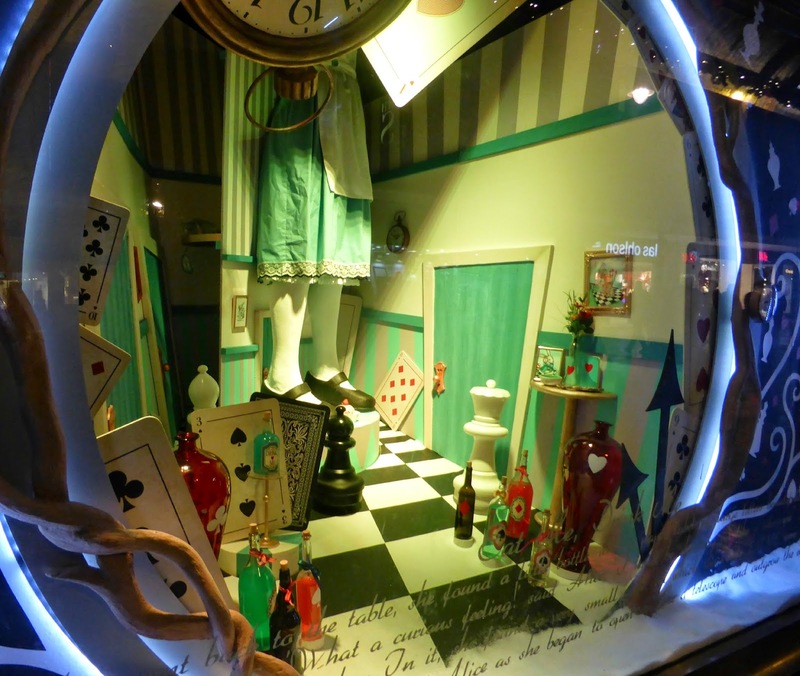 The windows tell the whole of Alice's story with lots of clever little touches to bring the story alive. I particularly love the window that shows her change size after drinking the "drink me" potion. 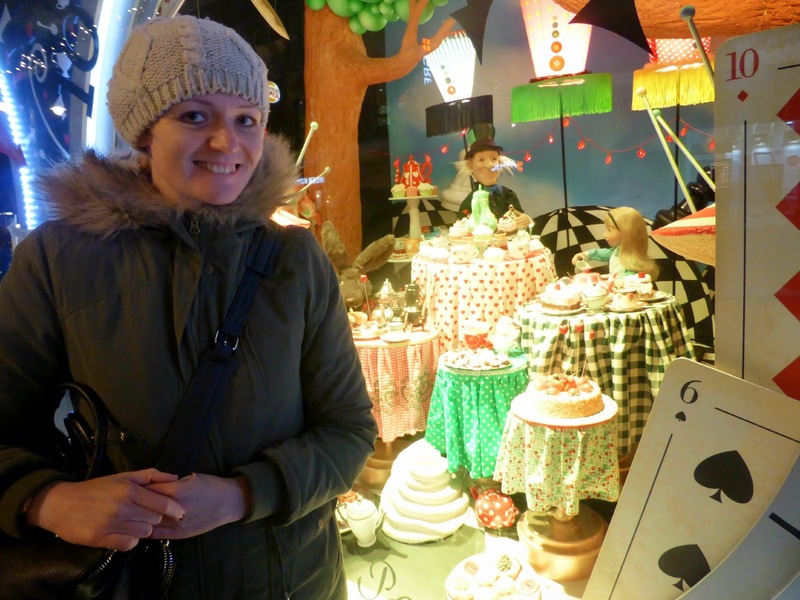 And of course being a cake fiend myself I love the Mad Hatter's Tea Party window. Despite being 33 I couldn't resist being a big kid and having my photo taken in front of the display. Christmas has officially arrived in Toon and I can't wait to hit the shops and finish my shopping. Aww I love Alice in Wonderland! I'm going to see it the last Friday before Christmas. It's great this year! It is probably my favourite local Christmas tradition :) This is only the third window I've seen, I remember how excited Simon was my first Christmas up in Newcastle showing me the window! The opening of the window is quite an event, the crowds gather and they pull back a curtain ... the first few days you can't get anywhere near it, it's that popular! I'm with you on this, I love Alice in Wonderland so I'd also be a big fan of the window. They are the best, some of the displays in London are amazing! Those toys are so cute. Ooooooooh I wonder if you can take them home to play with! I love Alice in wonderland so I think these are amazing!